For the intrepid traveler, there are more resources than ever before. But what about the traveler who is at a crossroads in life, longing for something else, neither diversion nor distraction, beyond escape and mere entertainment? What about those eager for a journey that is personally meaningful? For millennia this cry has been answered by pilgrimage, the transformative journey to a sacred center. The ancients referred to this path as the Way of the Pilgrim, an acknowledgement of travel for the sake of devotion, commitment, even penance to a holy site, a destination that blazes with meaning -- in short, a journey of risk and renewal. 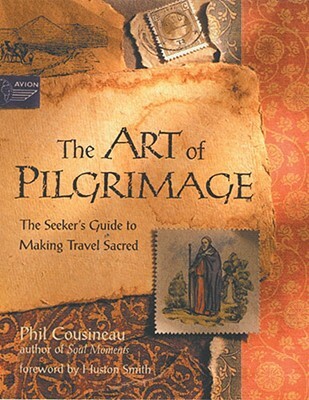 "The Art of Pilgrimage" is a guide for travelers ready to embark on a sacred journey and for armchair travelers curious to know what it means to travel with soulful purpose. Geared toward the modern-day pilgrim looking for inspiration and a few spiritual tools for the road, it combines stories, myths, parables, and quotes from famous travelers of the past with practical suggestions and contemporary accounts from people traveling the sacred way today. Not a guidebook to holy sites, this book is designed to help travelers focus on the purpose and intention at every satge of their journey no matter where they are going. "The Art of Pilgrimage" includes stories of traditional pilgrimages such as those to Canterbury or Jerusalem, but also ones to Shakespeare's home, Graceland, or the "Field of Dreams" in Iowa. Phil Cousineau recounts anecdotes from his own travels covering over 50 countries and offers readers the advice he gives when leading tours for the Joseph Campbell Foundation.